Rumor: Leonardo DiCaprio and Idris Elba Circling Quentin Tarantino’s DJANGO UNCHAINED? Hit the jump for more on these rumors. There are a variety of controversial roles for controversial directors, and Django Unchained certainly fits the bill. However, it may not be for the role of Django. After all, it was implied that the reason The Weinstein Company partnered with Sony Pictures on distribution was to appeal to Smith since he’s got a strong relationship with Sony. Personally, I would love to see Elba star in a Tarantino film, and I think there’s some desire among Tarantino’s fans to see Smith not get the part because of his insistence on re-writing scripts (even though no one re-writes Tarantino) and more importantly, his clean-cut image trying to fit into a controversial role. Then there’s DiCaprio who was already mentioned in connection with the project. On May 6th, Variety reported that “Tarantino is believed to have written the role of Dr. Schultz for DiCaprio, but when he passed, it was modified for Waltz.” But it’s possible that Tarantino hasn’t given up on DiCaprio and has offered him Candie instead. However, DiCaprio may have a scheduling conflict with Baz Luhrmann’s 3D adaptation of The Great Gatsby. The Playlist points out that Goldsmith was one of the first people to report that Will Smith was up for Django and there have certainly been discussions with DiCaprio’s camp about joining the film. Furthermore, if Smith passed and the production went for Elba, they would most likely need a movie star of DiCaprio’s caliber just as Basterds needed Pitt. But this is all speculation. Nothing’s been announced, discussions are happening behind closed doors, and there are plenty of roles to cast. 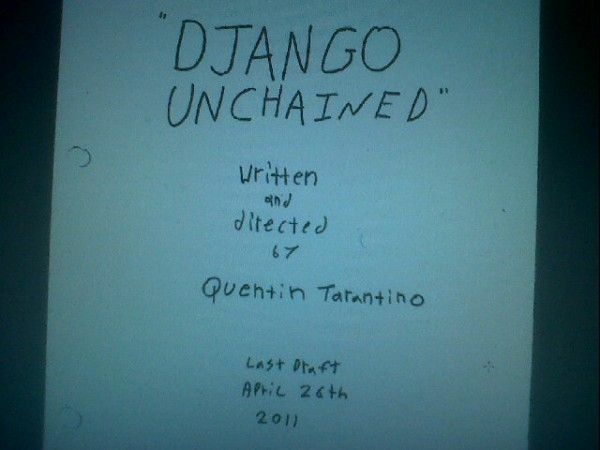 But we’re always super-excited for anything Tarantino does so we’ll be sure to keep you updated about Django Unchained.